There are more ideas locked away in your unconscious mind than you could ever write about in a whole lifetime – but how can they influence your creative writing. The secret is finding the key to access them. There is a story (article or poem) behind everything you encounter during your daily routine in both inner and outer worlds if you have the courage to experience and explore. The secret is learning to look behind the obvious. No matter how mundane and/or familiar a scene, there are countless different angles from which to view it. The secret is thinking ‘sideways’. You are unique: no one can access the same experiences and memories, which means you have the ability to generate unique responses to situations. The secret is knowing how to express yourself. Creative energy fuels creativity, so immerse yourself with creative images and stimulating art forms to give fresh ideas and ignite the creative flame. The secret is tapping into whatever can unleash creative energy. Encourage the flow of creative energy from your unconscious mind through visualisation, meditation and relaxation. The secret is drawing energy from other sources. Use your imagination when exploring other artistic mediums such as painting, sculpture, music, etc., because creativity is a state of mind. The secret is allowing other influences to stimulate the creative impulse. Give your imagination free rein and open up your unconscious mind to the creative possibilities around you; if necessary do the opposite of what is considered the norm. The secret is having the strength to dream. By connecting to your unconscious mind you can explore the wealth of universal memories of myth, fantasy and symbolism – but don’t be embarrassed by your ability to travel to the ‘hidden’ world. The secret is channelling your favourite childhood images. Certain images or symbols open the door to the collective unconscious; try working with these mind pictures to stimulate your creativity no matter how ridiculous or outrageous at the beginning. The secret is focussing the mind on those things that will encourage creative energy. 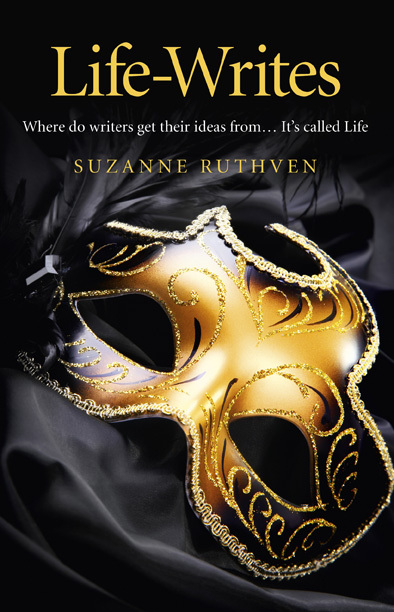 An extract from Life-Writes: Where do writers get their ideas from? ... It’s called Life by Suzanne Ruthven.